Following successful events in the East Midlands and North West during Autumn 2012, Show Racism the Red Card are running a further three regional conferences to counter the activities of Far Right groups including the EDL. 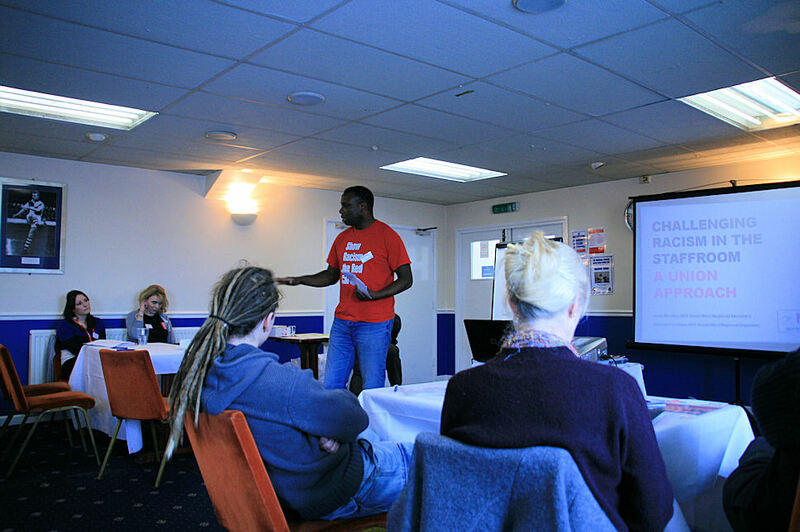 "The workshops were very informative.A great toolbox of activity ideas from across the day. Lots of seeds planted which allowed me to see/create ideas for work with young people." The day will feature a keynote speech from EDL expert Paul Jackson of Northampton University in addition to a number of interactive workshops delivered by the educational team at Show Racism the Red Card on topics including Educating against Racism and Prejudice and Escalation of Racism; Ideas for Intervention. There are still a small number of places left at each of the events and bookings will be handled on a fist come, first served basis. An event booking form can be downloaded from the website by clicking here. These events have been made possible thanks to funding from the DCLG and NUT, as well as a special contribution from Dudley Metropolitan Borough Council for the West Midlands conference. "This event has given me the confidence to challange racist comments or behaviour. A valuable and though-provoking day." "The practical activity ideas were really useful, as were the opportunities for discussion in workshops. Today has challanged my thinking and given me a better awareness of the importance of giving children an undertsanding of the issue of racism. Thank you!"